Chocolate comes in many different varieties. Typically they fall into one of four categories depending on the amount of cocoa: white chocolate, milk chocolate, dark chocolate or baking chocolate. Cocoa contains the chemical theobromine which is responsible for its toxic effects. The higher the concentration of cocoa, the higher the theobromine concentration. White chocolate contains the least amount of cocoa, whereas, baking chocolate contains the most. Therefore, the amount AND type of chocolate are important when determining if your pet ate a toxic dose. For example, if a Chihuahua ate a 1 ounce block of white chocolate it may only cause mild gastrointestinal upset. However, if the same dog ate a 1 ounce block of baking chocolate it may lead to potentially fatal effects. If a dog ingests theobromine they may develop vomiting, diarrhea, hyperactivity, tremors, seizures, increased heart rate, arrhythmias (abnormal heart beats) or even death. The effects can develop within hours and can last for several days. Pets with pre-existing diseases, such as heart disease, can be more sensitive to its effects and run the risk of greater side effects. In addition to theobromine, chocolate contains caffeine which also has a strong stimulant effect. Although most chocolate does not contain a large amount of caffeine, the additive effect with theobromine can compound the stimulant effects. Chocolate also contains sugar and fat that can be upsetting to the stomach. Most often, this will lead to gastrointestinal signs such as vomiting, diarrhea or nausea. 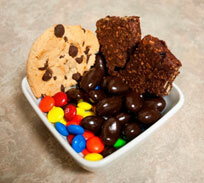 If the chocolate was part of a sugary treat, such as a cake or brownies, the stomach upset can be much worse. In some pets, ingesting a large fatty meal (such as the entire contents of an Easter basket full of chocolate) can lead to a painful and sometimes life threatening condition known as pancreatitis. This is a condition that occurs when the pancreas becomes inflamed due to overstimulation and premature release of digestive enzymes. More aggressive therapy is needed if your dog develops pancreatitis after eating chocolate. What Do I Do if My Dog Eats Chocolate? As soon as you become aware that your dog may have ingested chocolate, call a veterinary professional immediately to determine the best course of action. In some cases, monitoring at home may be adequate. However, if there is concern that your dog ate a toxic amount, you will be advised to seek treatment at the nearest veterinary hospital. Upon arrival, the doctor may try to induce vomiting to purge any chocolate left in the stomach. 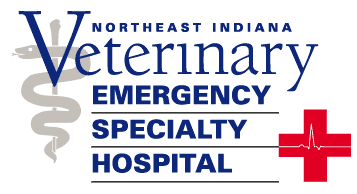 Once the stomach has been emptied, your pet may receive activated charcoal and be started on intravenous fluids for monitoring in hospital. The charcoal helps to decrease absorption of the chocolate and the fluids help to flush the toxins that are in blood. Additional medications may be needed to treat more severe symptoms that can occur with chocolate toxicity. These can include cardiac medications for arrhythmias or muscle relaxers for severe muscle tremors. Most of the toxins are excreted through your dog’s urine and it becomes important to allow your pet to urinate frequently, as these toxins may be reabsorbed through the bladder. It can take up to four days to fully clear the toxins from your dog’s system. After receiving appropriate treatment, most dogs do well and recover with no long term problems. Keeping chocolate containing items out of reach of pets is the key to preventing toxicity.